When will be the right time to clean up the game so 17 year olds are not faced with the temptation of a reputedly corrupt recruiting process? It still hasn’t been cleaned up since College Sports, Inc., (1990) and Sole Influence (2000) were written, has it? Or did I miss the clean-up? Will the focus on anti-corruption legislation on the national stage spill over to areas like college basketball? Or maybe the opposite, will it hog the limelight leaving other seedy underbellies underbellied? Alas, politics is often the art of the corrupt finding the path that requires the fewest of their fellow weasels that must be sacrificed to appease those seeking justice. When thinking about Trump and part of the Pentagon vs the Private Central Bank controller’s Deep State’s with its Siamese NEOCON/NEOLIB REPUBLICRATS, board rats need to remember that Abraham Lincoln was resisted, vilified and subverted from the moment he took office and tried to broker a deal among the three axes of private oligarchy seeking to control the building of the transcontinental railroad and telegraph network that was THE crucial issue that the US Civil War was fought to resolve. Lincoln was hated in north and south until Sherman cut the South in two and Grant savagely put Robert Lee in a vice he could never escape from and so should have surrendered to the North not more than 1 month after Sherman reached the sea. But even when the war’s outcome was no longer in doubt, Lincoln was vilified and subverted by the private oligarchies of north and south. Even in the election of 1864, when the war’s outcome was largely decided, the interests in Baltimore and New York ran General McClelland, whom Lincoln had fired, against Lincoln in hopes McClelland would agree to a peace with the Confederacy that would result in the transcontinental RR and telegraph being controlled by the New York, Baltimore and Confederate interests. Succession, Slavery, emancipation and tariffs were all just bargaining chips in the Grand game of controlling global maritime trade passing through the Western Hemisphere. War was waged to decide who would be the hegemond of communication and transportation of global trade through the Western Hemisphere. Even after victory at war he was assassinated to stabilize the hegemony of the surviving private oligarchy after the war. The last thing any of the surviving axes of private oligarchy wanted was a President with the largest standing army in the world, and a navy large enough to blockade the entire Atlantic and Caribbean coast of USA from the Great Powers of Europe, and able to use the great Army and Navy to impose government of the people, by the people and for the people on his own domestic private oligarchy. He was assassinated, of course. Trump appears in a somewhat similar position and apparently knew it going in. It was probably partly why he agreed to run. He, like many, understood the epic moment in which we live. He told everyone as much in front of the Lincoln Memorial the day before Inauguration Day. He was elected to broker a deal among at least two and likely 4 axes of private oligarchy to decide which of them get to wage cold and hot war to try to take over Trans Eurasian communication, transportation and energy. The game is about control of global trade through the eastern hemisphere. Corruption at the national level is just a bargaining chip, same as jobs, taxes, abortion, pot, gun control, terror, pedo rings, MeToo, fake Russia Collusion, fake dirty dossier, and impeachment are just chips. This is about winning the right to wage cold and hot war to control eastern hemisphere trade! No side will ever rest until the outcome of who is the new hegemond is decided. The eventual hegemony won’t be Trump any more than it wasn’t Lincoln. The President merely brokers these deals. And if he gets too powerful, he is assassinated. Such brokering has happened a number of times in USA history. It is happening now. They don’t always get assassinated. It depends on how much power flows to them—how much risk they pose to the private oligarchy. What can happen regarding cleaning up corruption at the local level of murder crazy Chicago, or in amateur sort, or in college basketball depends on whether these can be used as playable chips in the Grand game for political advantage in the brokering of trade through Asia. But strategists high up in the food chain have probably had a pretty good idea for awhile. @jaybate-1.0 today, the Alamodome; tomorrow, Beijing National Stadium! As long as college athletics, specifically football and basketball, are big money industries, there will be corruption. Lol yea the only way to keep corruption out of it is to take all the money out of it. Whether intended, or not, your response captures a core issue without referring to it. Not trying to put words in your mouth, or suggest that you actually think in the ways your comment seemed to open up. So what follows just uses your response as a spring board into the issue. Assuming corruption can never fully be eradicated for reason A (big money in this case), and the system corruption feeds on parasitically is also asymmetrically benefitting a group of persons widely reputed to need extra help (many poor African Americans trying to climb out of poverty by playing and coaching and reporting on college basketball , the apparent reasoning emerges as: shouldn’t we just sacrifice a few of the needy group to said corruption to get the benefits that the paracitized system is yielding for the rest of the needy group? Essentially this line of thought rationalizes preying on 17 year olds as a tolerable cost shifting on a few to get the net benefit for the many, at the same time it asserts inevitability. It’s reasonable to note here that most forms of human inequality (aka asymmetry) are based on assuming this sort of moral and cost/benefit calculus. Car thieves and the guys that part out the stolen cars actually create a supply of cheap OEM parts for the poor and young and indirectly enable the OEM to keep their original prices high and discourage competitors selling substandard parts for cheap. Insurance enables the system to a point. No one can hope to stomp out the corruption of theft and parts rings, so those benefitting, especially those with incomes dependent on the corrupt system, say, as long as there is big money, there will be corruption and shrug. Heck, Humans have sickened and killed some other groups of humans in medical research to get health benefits for the many. We have never fully been able to eradicate either the exploitation in drug research, nor the occasional Dr. Mengele’s at the extreme either, so we make use of the research of lunatic butchers, as well as more or less decent researchers practicing on the unfortunate. We can’t eliminate corruption, because of big money, some think. And shrug. Anti-depressants trigger some suicides, but hopefully prevent more and make a lot of managers and investors rich, so why not benefit from it? Look away. Cigarettes reduced stress until one symptomized cancer and lung disease. But it was good for magazines and TV which brought us our sports, that we distracted ourselves with even as our loved ones slowly agonizingly died of lung cancer and oxygen deprivation. Look away. Work in advertising and climb out of poverty. There is big money in smoking, so there will always be corruption. Humans have also enslaved some of us to get the net benefits of forced, uncompensated labor for the many. British mill owners and financiers, not just Irish-American plantation owners and New York and Baltimore financiers and slave traders , benefitted well from slightly malaria resistant African slaves laboring unsalaried on Southern USA plantations. Indentured English workers for two centuries expedited early agriculture and manufacturing for colonial settlers. African tribal social orders of inheritance were stabilized by selling African children to middle eastern slave traders and other African tribes before white slavers ever showed up. And so on. Clean up may never prevail over Corruption; that is how it tends to go in religion, politics, intelligence, economies, and even in Vice itself. Vice Thieves routinely cost shift onto other vice thieves, after all. Thus the real issue seems not whether corruption will exist, as you asserted, but how much of it are we willing to avert our eyes to? What limit do we put on it, knowing some good persons will need to be helped, so they do not bear unfairly the cost of driving down some of the corruption? With the above as prologue, there appears another nagging problem with your assertion that I mention precisely because I suspect a person of your intelligence will be able to explain: it does not take into account the corruption that has been documented in college basketball to pre-exist the arrival of big monies in amateur college basketball. The earliest days of the game saw part of it staged as an amateur recreation in YMCAs, while another part was staged as big city entertainment. Burlesque and fight promoters staged games and tournaments and eventually professional leagues, as entertainments as much to encourage gambling, as ticket revenues. Amateur college basketball got drawn into “entertainment” very early on. It has been a goose laying a golden gambling egg for a very long time. 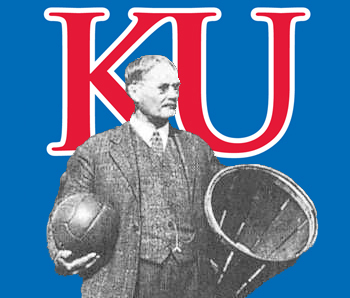 Phog Allen complained openly about the game’s compromise by gambling well before the NCAA formed and hoped the NCAA would help reduce the corruption by gambling. What is it about amateur college basketball that predisposes it to so much corruption that among other things traffics in so much temptation being offered to 17 year olds? It’s not a simple answer at all IMHO. There is astronomical money involved in the education of ordinary students. Amateur college basketball is a tiny sliver of KU’s annual $1 Billion plus budget, but the REPUTED near systematic corruption that tempts ordinary students is reputedly vastly less. I would hypothesize that because the stakes are so high for university budget money (i.e., the monies streams are so huge related to research pork and ordinary students fees and federal education subsidies) that controls have long since been put in place to limit the corrupt temptation by low life’s of the vast numbers of students to keep the vast monies valved to the university officials, not the lesser elements of our culture. Universitiy officials are hardly saints, of course. They have entered into the racket of financialization with banksters to overcharge for educational services and books, so as to leave many young persons essentially indentured debt slaves for a time after college, but even such debt slavery hardly equates with tempting 17 year olds with prostitution, drugs, under the table cash, cars, clothes, home mortgages, and informal agent relationships, plus the physical wear and tear of the sport and the reputed “under-education” of athletes, does it? There are degrees of corruption to be chosen, aren’t there? In contradistinction, so much of the monies of sports are quietly seemingly inextricably interwoven with TV, gaming and petrowear revenues that the school officials apparently could not find a feasible way to control so they apparently effectively cut loose of college sports in a number of ways in exchange for a relatively minor cut of the gaming and petrowear action, and in effect looked away and threw 17 year olds to the mercy of reputedly some pretty low forms of human predators. What is it about our beloved game of amateur college basketball that has drawn it into a web of reputed corruption since BEFORE the big money came on the scene. My hypothesis is the most rudimentary of starts. Probably hopelessly incomplete. I hope you will take the time to contemplate the issue, so that maybe the reputed corruption can be pushed back at least a little down the road. 17 year olds are so very young. Only naives expect to take all the corruption out of ANYTHING. Complete elimination of corruption appears a silly notion for someone like you to even mention. The realistic question seems to be: how soon can we expect authorities to get on with cleaning it up as much as is feasible? Do you have any insight to share? Isn’t there something that can be done to curb the supply of temptation reputedly being offered them now? Are college basketball authorities and adult America and so helplessly impotent that there is nothing to be done but put the onus on 17 year olds to clean up this money making system? Something fittingly done would be better than nothing done, wouldn’t it? Or have you grown hopeless about looking out for our youth? I am not chastising you, or judging you. There is a reason we are fitfully diversifying into electric cars and solar electricity generation, and climate change, which I affirm rather than deny, is not the crucial driver of the change. The Straits of Malacca, the Shanghai Security Pact, the Trans Eurasian Super Corridors and the ability of the pact members to shut off our oil flow through the Straits of Malacca at any second drive the change—THAT drives why Teslas and the Chevy Bolt exist—probably the only reason. America is a sitting duck energy wise until it has sufficient electric conversion to ride out it’s Mid East oil being cut off in the Straits of Malacca! It has to use coal to generate a big part of that electricity. And USA will be a sitting duck till it either agrees to share global central bank ownership with the Pact members, or alternatively until USA/GB/Israel divide and conquer Russia and Iran first, and second contain China for half a century. If we slide into nuclear war, however, it’s curtains for us all. @jaybate-1.0 Point of clarification for my edification: What do you mean by “reputedly”? I always thought it means something generally believed (“reputation”) but it seems that many of the things you describe as “reputedly” are not necessarily accepted as facts by many people. Sometimes it is a fact or a theory I have never heard before from anyone. I cannot tell if your use means you, yourself, believe it, or if you are saying someone believes it. In either case, it often serves as an assumption underlying something contentious that generates lots of comments. Are we arguing about something, or nothing, that you are actually positing as a fact or theory? I am sorry. I don’t feel I know how to edify you in this situation. But your post appears like you might be projecting maybe a little about contentiousness. Have you considered that possibility? Also, have you considered not reading my posts at all? This is always an expedient option. If I understand your post correctly, if I were confronted with such an alias as you appear to characterize, my speculation is my inclination might be not to read such an alias and instead read others that I found more edifying and that I did not possibly appear to project my own contentiousness onto. Either way, we can both look forward to the start of this coming season, since it appears increasingly unlikely with each clock tick that sanctions will befall our beloved program before the season starts, right? @jaybate-1.0 You misread my intent. I asked because in the past you have sometimes denied that an idea was yours personally, and that it was just thrown out for discussion. I wondered if “reputedly” was reserved for the ones not held or believed by you. If yours, then why use the word? It can change the meaning, and the impact. For example, if you believe the recruiting system is corrupt, then using “reputedly” makes it seem as if you question that assertion, which would undermine your intent, I think. If you believe it is not corrupt, then you are taking a theory you don’t believe and generating discussion from it. @mayjay “reputedly” is when it is the general opinion that something is the case. I agree, that doesn’t fit @jaybate-1-0 's apparent intent (maybe apparently woudl be better?). I think you’re talking more about something like “allegedly” which is when something is said to be a certain way, but there is no proof? @approxinfinity I wondered because in areas where I think his theory may be thinly supported, it seems that he uses it to dispel that suspicion by making it sound like many people are adherents. @mayjay So, what would you call the Strange and curious case of Stubby Miller? Would that not be the poster child of “reputed corruption”? Scurrilous charges made by the biggest media organ in sports with references to seemingly phantom evidence obtained by the FBI, and not one follow up after the bomb was dropped? Hmmm. Reputed seems like a very generous word in that instance. @KUSTEVE Actually, this thread merely provoked my question because the word was used in the subject matter, not because I think my most recent comment is highly applicable. You remember, when you are waiting for a storm to hit, the mind ranges far afield! We escaped your experience, though…this time. Reputedly certainly has a more explicit or definite meaning than words such as apparently, allegedly or supposedly and in the legal world they could be critical; however, in a forum where sometimes moot and mute are used interchangeably the difference is perhaps not as big. Having said that, we all know that Jaybate tends to present his opinion as fact, never lets the facts get in the way of a long, long, long post and after writing a 10,000 word essay about an imaginary conspiracy he will qualify it by saying he does not believe in conspiracies…and if you ask him to cite sources, he will either ask you to do the research for him, fill the thread with empty/buffer posts…whatever that is, start a personal attack or all of the above. Pretty predictable actually. @JayHawkFanToo I believe your posts in particular also provoke the famed “howling!” reply.